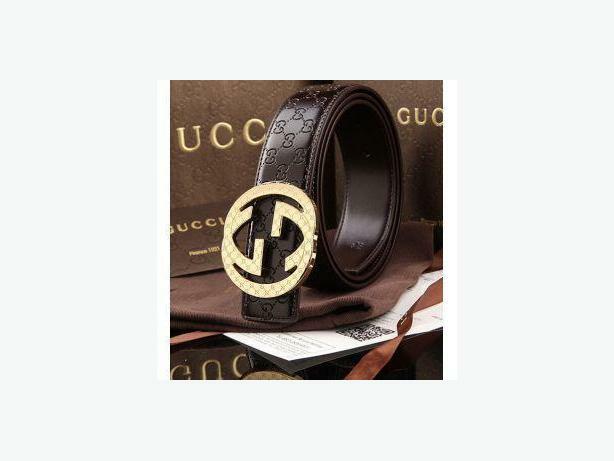 Gents brown leather belts are sure to last for a long time, as they are made from premium high quality genuine leather. Stylish gold buckle lends them unique charm. Finish off your dress look. Embossed design logo on the buckle and belt. It has pre-punched holes for perfect adjustment. Fit waist size from 30"-40". Please click on "View poster's other Ads" to check out my other items for sale at good price.